I was at a parish dinner many years ago. Before the meal was served a friend named Geoffrey was holding court and I thought I heard him say, I tell jokes. Well, I literally laughed out loud..because as smart and as well-educated, my fellow Ph.D. is, humor is not his forte. 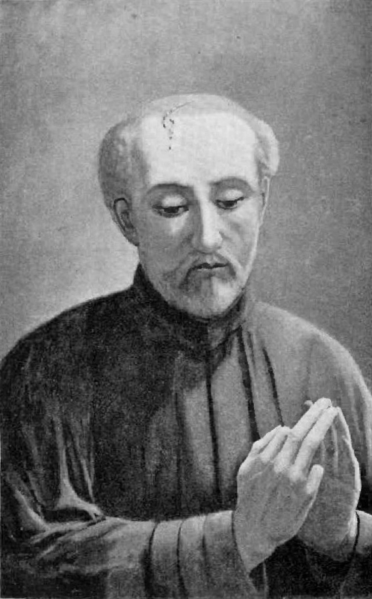 What he had actually said was something about Issac Joques, the French Jesuit who was martyred in the 17th century while working with the Huron Indians in Canada. This was not the first time that I had heard something funny that was really just something else. The sad truth was that my hearing was diminishing and I was the last one to notice it. I used to joke that my sense of humor was just based on bad hearing. After years of resisting my wife’s concerns, I went to the Central Institute for the Deaf. As I sat in my isolation booth, they would beep all sorts of sounds and then read a long list of unrelated words that I had to repeat. It was very stressful, attempting to predict or even guess when the sounds would occur. After a while, I just didn’t give a beep. I hate tests I can’t study for. I even study for blood tests avoiding things that may elevate my blood sugar or my PSA. But this was hard. The more times I have taken their test, the worse my scores were. My chart looked like the stock market in March of 2009. I have had two brain scans–they found nothing! I saw an ear specialist, who told me that some my right ear had suffered a trauma to it. I told him that it was my wife’s ear since when we drive she is always on my right. The actual words he used were that my right ear had suffered an insult to it. 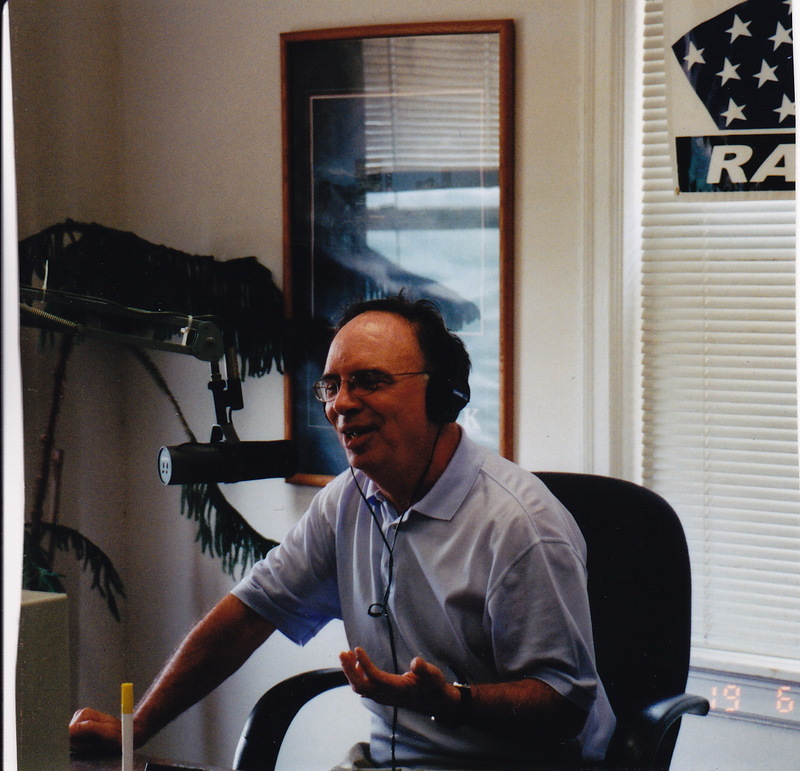 I quipped that well I did talk radio for over 22 years and people usually insulted me in BOTH of my ears. I did have a lot of ear infections when I was young. My dad called a fellow physician to lance my ear in my own bed when I was about seven. In 1979 I can remember some moron yelling in my ear at a Phillies game. Then there was a Melissa Manchester concert at the Fox Theater many years ago. We had seats dangerously close to what looked like 75’ speakers. But other than that I don’t know what happened to my hearing. I have had about three hearing aids. I had a lot of trouble with the first two–I have a great deal of ear wax–I know–you don’t need to know that but, the wax got wedged into the hearing aids constantly. Like linoleum, my aids suffered from wax build-up. You don’t know what it feels like to experience a tiny piece of technology being choked to death by a wax invasion. The one that I have now is silver, sleek, and fits over my left ear. It looks like a phone. They can’t do anything for the wife’s ear. When I am not wearing my aid, I literally have to get in someone’s face to hear them or twist my head or sometimes even my entire body around to continue a conversation. 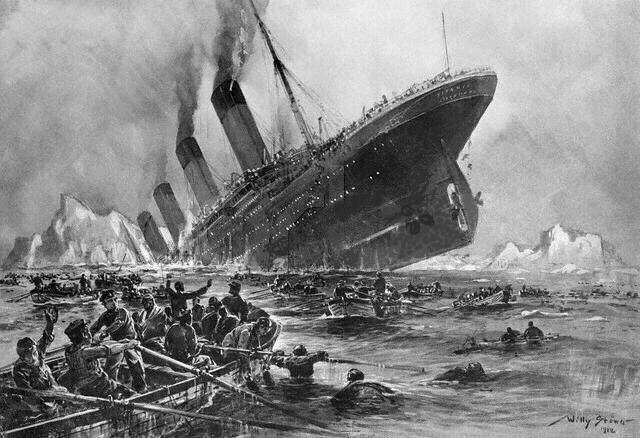 They told me at CID that I had Titanic Hearing Loss. (I made that up). I had serious difficulty with the high pitches of women and children. The worst part of it is the tinnitus. I didn’t know what that was years ago but it’s the constant noise in both ears that comes from nerve damage to the ear. I have it in both ears. It is not actually a ringing—a phone that no one will answer but it is more like static—white noise–but has nothing to do with frequency domain signals–or what ever that means. I am not complaining about this. Of all the afflictions a person could have, this is one of the easiest and for me a very light and small cross for me to carry. I am considering how my sound has been spent. I doubt that I will ever be totally deaf but the very fact that one of my natural functions is in a serious state of decline does give me pause for reflection if not concern, just as Milton’s failing eyesight did a few hundred years ago. Sometimes a person who can’t hear is considered to be retarded or dumb. I have to admit that I often have a blank look on my face when I don’t understand what someone has said. In baseball history there have a been a small number of deaf players. Most of them were immediately baptized as dummy. The most famous was William Ellsworth Hoy. He was a center fielder who played for several teams from 1888 to 1902, most notably the Cincinnati Reds and two franchises in Washington, D. C.
Hoy became the third deaf player in the major leagues, after pitcher Ed Dundon and Tom Lynch. Short at only 5’4” and deaf, surprisingly Hoy wore the name dummy with pride and some distinction. In his rookie year Hoy led the league in stolen bases. In fact Hoy often corrected individuals who addressed him as William, and referred to himself as dummmy. Said to have been able to speak with a voice that resembled a squeak, he was actually one of the most intelligent players of his time, and in some circles is credited with developing the hand signals used by umpires to this day, though this view is widely disputed. For the record umpire Cy Rigler is believed to have created signals for balls and strikes while working in the minor leagues (although, in the November 6, 1886 issue of The Sporting News the deaf pitcher Ed Dundon is credited as using hand signals while umpiring a game in Mobile Alabama on October 20 of that year). Legendary umpire Bill Klem claimed the distinction of introducing those signals to the major leagues. No articles printed during Hoy’s lifetime have been found to support the suggestion that he influenced the creation of signals, nor did he ever maintain that he had such a role. In addition, if Hoy could read the lips of an umpire only a few feet away, it is unlikely that he would have needed a manual signal as well. Nonetheless, due to the possibility that he may have played a role in the use of signals, as well as for his all-around play, there is a movement to support his election to the Hall of Fame in Cooperstown, New York. Hoy lived to be 99 and was beloved by all his teammates. He taught them how to communicate in sign language—very useful on the field. When he made a spectacular play, fans stood in the bleachers and wildly waved their arms and hats—an early form of deaf applause. A more interesting case is that of Pete Browning. Browning was tormented for his entire life by mastoiditis, a serious infection of the inner ear usually contracted during childhood, which can result in deafness, vertigo, facial palsy, and brain damage. A danger in the field but could he hit! Because of his condition, Browning lost his hearing at a young age. His deafness caused him to drop out of school at an early age, so that he went through life as a virtual illiterate. To alleviate his constant pain, Browning began drinking heavily. He often appeared on the field while drunk, and was suspended many times. Evidently he was an incurable alcoholic, who lived by his motto, I can’t hit the ball until I hit the bottle. When he did play he was a liability in the field. They tried him at 1st base but opposing players blind-sided him every time he tried to field the ball. So he started a unique defensive positioning of facing the runners to the extent that he could not see the ball hit in his direction. He was apparently much worse in the outfield where maybe the alcohol played more a role than his deafness. He is one of the few major league players to have less than a .900 fielding percentage. Unknown to most fans, Browning is one of the leading hitters in major league history. His .341 lifetime batting average ranks 11th on the all-time list. He is the 4th leading right-handed hitter in baseball history and yet he is not in the Hall of Fame. Browning played most of his 12-year career in Louisville from 1882-1894, earning the name the Louisville Slugger. He was enormously attentive to the bats he used, and was the first player to have them custom-made, establishing a practice among hitters which continues to the present. I can sympathize with these athletes. I have been involved in communications of one kind or another my whole life and to lose or have a necessary skill deteriorate before my very ears is disheartening. It is such a loud world we live in. But I am thankful I can hear what I can hear. I relish all the melodious sounds of real music, female voices, especially that of my long-suffering wife, a potent argument and just the magic coming from the people who still love me, dumb or not. Maybe one morning I will just wake up and the music will have completely stopped playing. And as long as I can still talk I’ll be OK.
As they say, Hear today…gone to Maui.